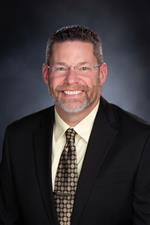 Steven Cook is the Superintendent of the Coeur d'Alene School District. Steve grew up working on his family's farm in Dodge City, Kansas; from there he went to Bonner Springs, a suburb of Kansas City. Most recently he worked in Douglas County, a Denver suburb. As a former chemistry and physics teacher, high/middle school coach, building administrator, and district administrator, he is a lifelong educator with 30 years of service in public education. Steven got his BS in Science Education from Kansas State University, his MS in Education Leadership from Emporia State University and his Ed.D from the University of Kansas (Rock Chalk!). Steve and his wife Stephanie live in Hayden and have 3 adult children.